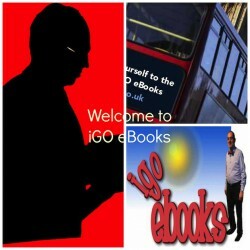 Introduction to iGO... - Welcome to iGO eBooks! A catalyst for innovation in the e/iBooks in the niche genre of voluntary sector fundraising, governance, organisational and ePublishing matters. There are 30 e/Books in the 4 genre material series providing a guide and reference to techniques, things to consider, and contacts with url links for new, small, and emerging groups / organisations in the voluntary/third sector seeking to improve their engagement with potential funders in the statutory, corporate, and charitable trusts/foundations sectors. Developing synergies with corporates in events management, (with networks nationally & internationally), creating a hotbed of new and strategic initiatives.